Discussion in 'Automobilista - Links & Resources' started by Ramon Pinto de Barros, Jul 11, 2018. Hi! 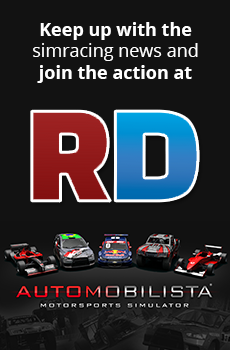 I'm a brazilian simracer, and even though I'm not very active in the reiza forums, I have been playing AMS on many brazilian leagues. Well, I've been developing a rating bot for the brazilian leagues, but it didn't worked as I wished to. I used all the knowledge of the past work and my spare time to start developing an website on which people could find online races (at least one race/day), so they could have fun without the need for searching the multiplayer lobby, or being assigned to any leagues. Plus, the drivers are rated by their results, and the quality of driving is rated by their contacts with other drivers. It's in active development, and I finished what I think is the minimum necessary for the website to be viable. Now, I'm looking for people that 'd like to test the website, the server ping and the rating system. There's plenty I want to add to the website, but I really need community feedback to focus on the right demands. PS: The website is being developed in the Portuguese language. In future, I can use some proficiency to make english available. The rating display! The rating algorithm needs to calibrate points before it's shown in the rating display! Also, drivers will be classified by rating classes. I really wish some help from the community, as long as I hope this project may be useful for AMS users. If you have any intent on helping somehow, please let me know and send me a PM!